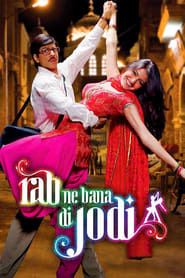 Rab Ne Bana Di Jodi : A lonely 40-ish man, likely to remain a bachelor, has a chance to find the love of his life when he falls for a vivacious young woman. Our Brand Is Crisis : A feature film based on the documentary “Our Brand Is Crisis”, which focuses on the use of American political campaign strategies in South America. Be Cool : Disenchanted with the movie industry, Chili Palmer tries the music industry, meeting and romancing a widow of a music exec on the way.